This Made in America, solid cherry bed can effortlessly transform a space, bringing artisanal quality into your home. With Gallery Furniture's same-day delivery, you can start enjoying this stunning king bed in your home TODAY! 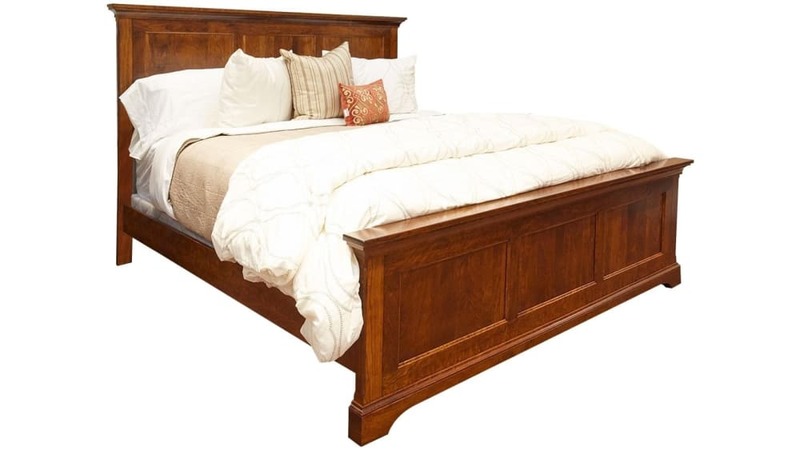 This solid cherry wood queen-size bed was Made in America. Finished in a low V.O.C. coating, the natural warmth of the wood shines, while offering solid protection. Traditional mortise-and-tenon construction provides lifelong support to the frame. An Asbury stain showcases the natural beauty of the solid cherry wood grain to perfection.